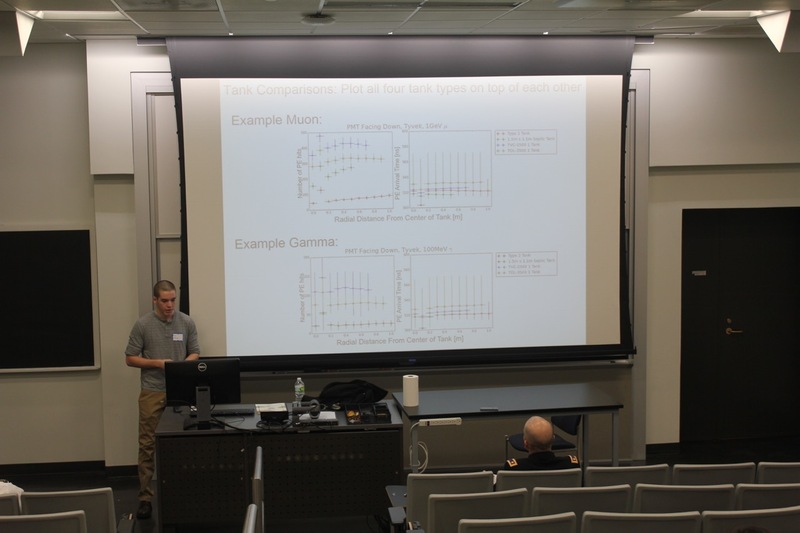 Rochester Symposium for Physics (Astronomy and Optics) Students (RSPS) 2016 Report On the morning of Saturday April 2, 2016 the Thirty-Fifth Rochester Symposium for Physics (Astronomy and Optics) Students (RSPS, which also served as a Northeast Regional Zone 2 Meeting for the National Society of Physics Students was held at the Department of Physics and Astronomy at the University of Rochester. Eighty registrants consisted of presenters, advisors, non-presenters, and guests, from Clarkson University, Colgate University, Houghton College, Roberts Wesleyan College, Siena College, SUNY Brockport, SUNY Cortland, SUNY Oswego, United States Military Academy at West Point, University at Buffalo, and University of Rochester. Eighty-nine enjoyed the conference luncheon at the on-campus Danforth Dining Hall. Conference guests receive a mid-morning refreshment break during the poster session and refreshments again at the time of departure. Founded in 1981 the RSPS symposia has endured and strengthened to become a conference that undergraduate students, faculty, visitors, and guests look forward to each Spring that joins northeastern regional institutes such as Clarkson University, Colgate University, Houghton College, Roberts Wesleyan College, Siena College, SUNY Brockport, SUNY Cortland, SUNY Oswego, United States Military Academy at West Point, University at Buffalo, in the field of physics and related fields of science. 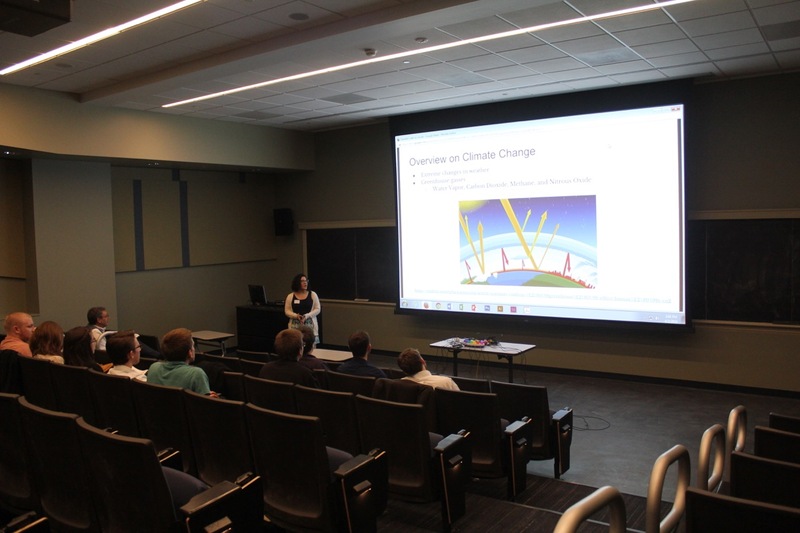 As of 2005, the Symposium began including a special lecture by a guest speaker or undergraduates’ participating in the Physics Jeopardy Game for fun, supplied by the Society of Physics Students National Office, American Institute of Physics. As of 2006, the RSPS research conference began a new tradition with Houghton College, of hosting the symposium at other northeastern regional colleges every third year. The RSPS was another great success held at West Point, 2009 and Siena College, 2012 and at SUNY Oswego in 2015. 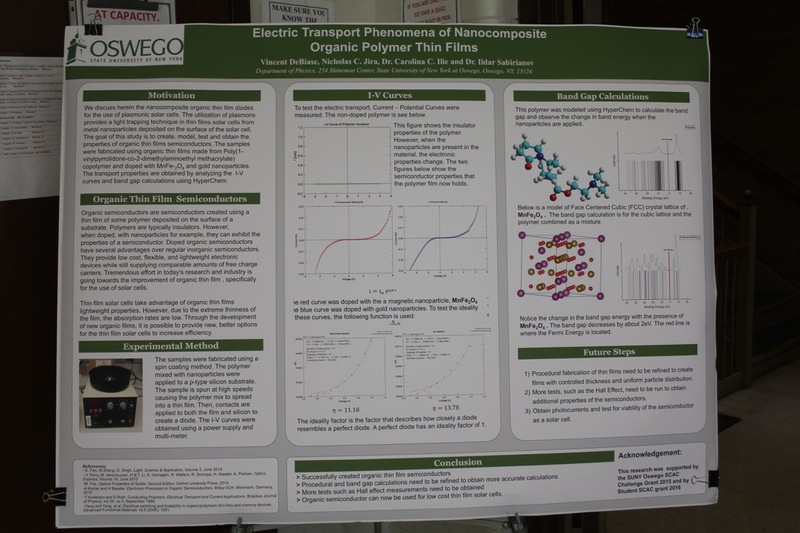 The Symposium is a one-day meeting at which undergraduate students give fifteen-minute papers and/or participate in a poster session on research projects, library study projects, independent laboratory work, senior thesis, or summer projects, in fields of physics, astronomy, optics, and other related fields. 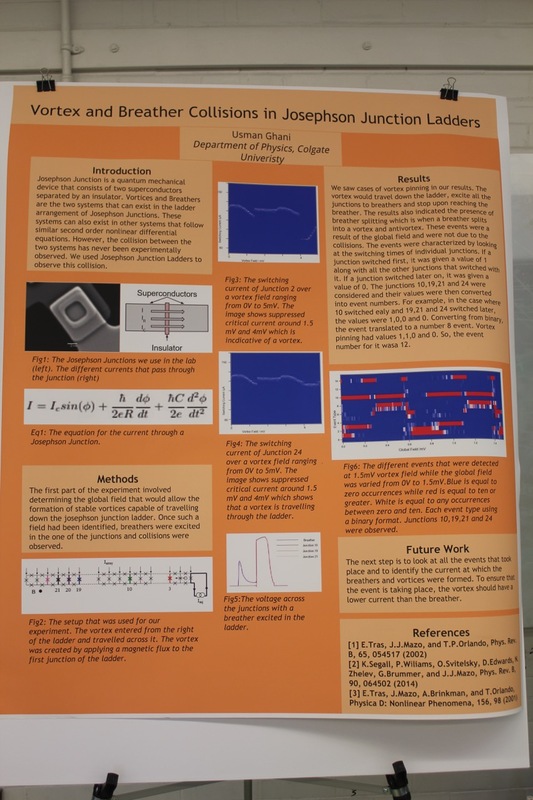 The abstracts that have been submitted by students have covered the subject matter quite diversely, such as condensed matter, astronomy, nuclear physics, environmental, medical and biological physics, particle physics, quantum optics, instrumentation and techniques, and educational physics. The RSPS research conferences are less formal than American Physical Society Meetings; however the format is the same. 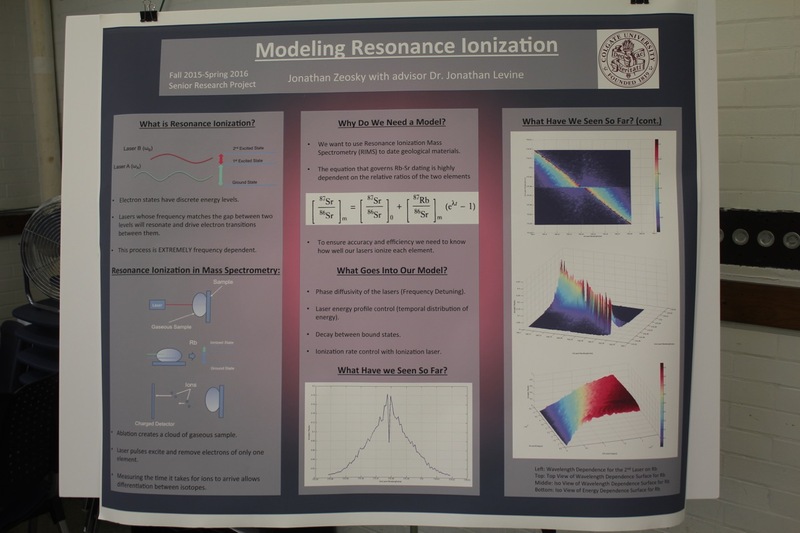 The 2016 conference options for supporters and colleagues to attend offered a diversification in levels of knowledge and wide range with 40 presentations and 14 posters for the poster session in the fields of all related fields of physics. 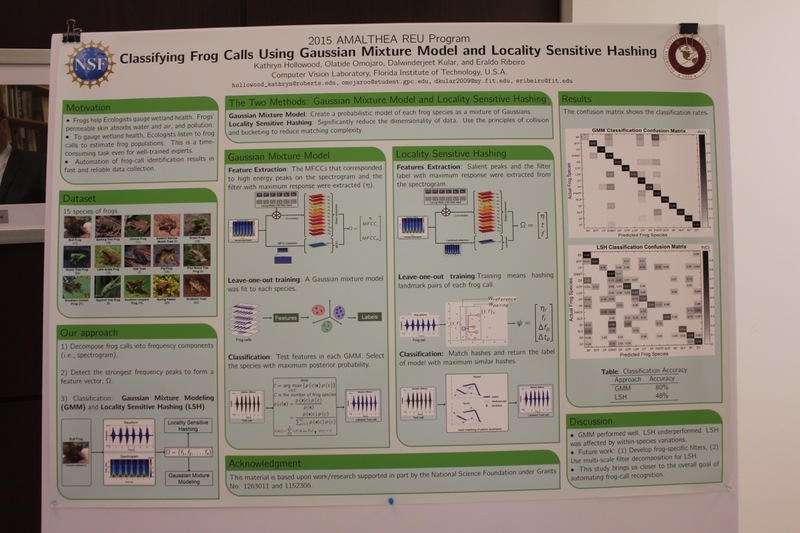 The symposium consisted of three-triple parallel sessions (Session I, III and IV) and a poster session (Session II). 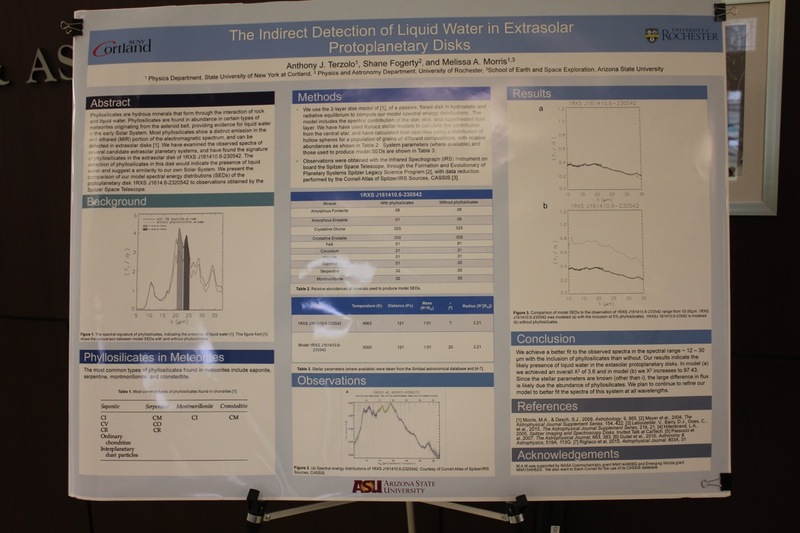 Undergraduates who participated in the symposium gave presentations on various fields of physics, astronomy and optics. Following the luncheon the conference special was playing the Physics Jeopardy Game for fun. The participants of the Jeopardy Game were the presenters of the conference and all were Society of Physics Students members. There were four teams and each team had six players. The chair of the conference, Professor Frank Wolfs, was the host/spokesperson of the game. A little over an hour is set aside for the game, prizes for first and second place. It seemed not to matter much because the audience and players filled the auditorium with laughter, as the physics questions were being read and beepers were being pushed. It seemed to help tease the tension away from the presenters. It was a real nice time for all to spend together having load of fun. The conference continues to make modifications to improve efforts and support giving undergraduates opportunities to work with their advisors and present their work in the fields of physics, astronomy and optics, while maintaining the origination of being one of the best Regional Zone 2 conferences offered annually.